The Martial Arts Learning Community (The MALC) is a Non-Profit Agency chartered in the state of Delaware. 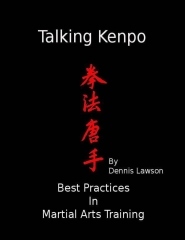 The MALC supports various studies of the history and development of the Martial Arts, studies using a scientific approach to identify Best Practices in the Martial Arts, and the publishing of these research works. The MALC supports the study of the Martial Arts as physical education. Our community produces educational seminars and promotes both national and international amateur sports competitions. The MALC will provide programs and services not currently available that will benefit Martial Arts students and teachers, their community, and our world as a whole. During his insightful examination of the relationship between poetic functioning and Tourette syndrome, Professor Ronald Schleifer contends that the vocal and motor tics experienced by tourettic people stem from the same neurobiological resources as poetic language. Schleifer, however, is also quick to comment that such symptoms are not actually poetry or any art form simply in and of themselves. Therefore, as he observes, they represent generally meaningless actions. "The motor/phonic symptoms of Tourette's I describe," he writes, "do not constitute poetry: the language uttered by those who have Tourette's may no more resemble poetry than their involuntary movements resemble pantomime." In his book Awakenings, Dr. Oliver Sacks describes how the quick movements and other qualities of Tourette's-though not actual artistic manifestations-can still enhance a chosen activity. Commenting on the "abnormal suddenness and speed of movement" shown by his post-encephalitic patients Sacks, who was a well-known and rightfully celebrated neurologist in the world of Tourette's studies, writes, "A similar tendency to sudden, 'prankish' moves, allied with great speed and inventiveness...is sometimes characteristic of Tourette syndrome." I recently added some weapons training, learned from my years of weapons work in Aiki Budo, to my weekly training regimen. Training again with a jo (short staff) and bokken (wooden sword) reminded me of the importance of “respecting the weapon”. Much of the ritual associated with weapons training in traditional arts is placed there to help students internalize safety while training with man-made weapons. Here are some ideas to help you “Make Safety a Habit” as you train with weapons.